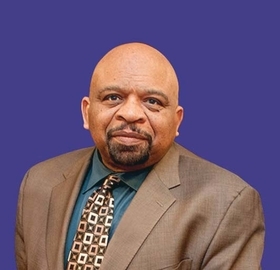 George Gresham is president of 1199SEIU United Healthcare Workers East, the nation's largest healthcare union. We as Americans pride ourselves on our core values of fairness and compassion and want our country to be a worldwide beacon for human rights, religious freedom, innovation and opportunity. That is why the presidential executive orders banning refugees and immigrants from seven countries are so deeply unsettling. They target not only the most vulnerable in the world, but also some of the best and brightest, especially in the healthcare field. The U.S. relies heavily on foreign-born doctors, nurses, medical re-searchers and other healthcare workers, including those from the seven Muslim-majority countries under the ban. In fact, the healthcare industry has the largest percentage of foreign-born workers of any sector in the country. There are more than 2 million foreign-born healthcare workers in the U.S., including 200,000 nurses and 25% of all doctors. From the countries under the ban, 260 physicians have applied for medical residencies this year alone and could treat around 700,000 patients in 2017. Immigrants also work as nurse assistants, radiology technicians, lab scientists, physical therapists and many other essential positions in hospitals, nursing homes, clinics, home-care agencies and pharmacies. Because of our aging population and the prevalence of chronic disease, we are already facing a severe shortage of doctors and other healthcare professionals, and these immigration restrictions will make it worse. Many foreign-born doctors provide much-needed primary care and practice in rural areas and underserved communities. At the same time that these healthcare professionals are caring for American patients, they are being cruelly separated from their own families overseas. During the brief time the restrictions were being enforced, pending judicial review, healthcare professionals in the U.S. who are from the banned countries were reluctant to travel for fear of being stranded, and their loved ones had serious difficulties visiting them. In one image widely circulated on social media, a resident physician held a sign that said, “I care for your mom but I can't visit mine.” Causing this kind of suffering, heartache and separation of families is not what America is about. The ban will also hurt the revenue of the healthcare industry and our economy overall. Thousands of patients from regions around the globe, including the Middle East, seek surgeries and other medical care in our world-renowned hospitals and clinics every year, and now that economic driver is under threat. Already, other countries are stepping in to attract foreign patients who would be blocked by the ban. It would be a tragedy to see America's position as a leader in science, medicine and innovation diminished due to ignorance and fear. Similarly, the proposed wall along the southern border and crackdown on undocumented immigrants would be a colossal waste of money, costing billions of dollars at a time when we need more vital programs to help struggling working families and healthcare facilities. Instead of tearing immigrant families apart, we should be devoting resources to offering affordable healthcare for all Americans and strengthening Medicare and Medicaid. Beyond the economy, the ban doesn't make sense from the standpoint of national security given the rigorous vetting immigrants and refugees already receive, and many military and intelligence experts have said it could actually make Americans less safe. Instead of pushing Muslim countries away from us, we should be working with them to lift up their countries' poor, improve public health and stave off radicalization. We live in a world that is more profoundly interconnected than ever before, and the fate of America is bound up with all other nations of the Earth. We have a moral obligation to welcome refugees from war-torn countries and not turn them away. That's our tradition.